Buffalo State will celebrate the inauguration of Katherine S. Conway-Turner, Ph.D., as the college’s ninth president on Tuesday, October 21, at 12:15 p.m. in the Performing Arts Center at Rockwell Hall. Campbell Student Union, 12:15–1:30 p.m.
Science and Mathematics Complex atrium, 5:30–7:30 p.m. Performing Arts Center at Rockwell Hall, 12:15–1:30 p.m.
Assemble at Houston Gym, 9:15 a.m. Registration. 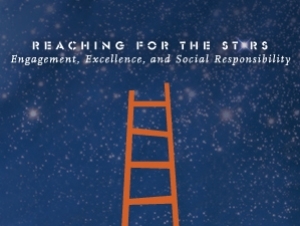 Burchfield Penney Art Center, 4:00–6:00 p.m.
Inauguration of Katherine Conway-Turner, Ph.D. Performing Arts Center at Rockwell Hall, 12:15 p.m. The Buffalo State and wider Western New York community is invited to attend any or all of the Inauguration Week events. More information, including a link to RSVP and details for inauguration marchers, is available at http://president.buffalostate.edu/inauguration. Katherine S. Conway-Turner, Ph.D., was confirmed as the ninth president of Buffalo State College by the SUNY Board of Trustees on June 16, 2014. She is a lifelong learner, educator, scholar, author, and humanitarian. During her 31-year career, she has served in a variety of leadership and administrative positions as well as held the rank of professor of psychology at five universities. Most recently, Dr. Conway-Turner was provost and vice president for academic affairs at Hood College in Frederick, Maryland, from July 2010 until July 2014. From 2004 to 2009, she was provost and vice president for academic affairs at SUNY Geneseo. 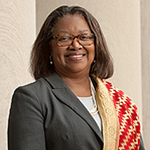 Dr. Conway-Turner was the dean of the College of Liberal Arts and Social Sciences at Georgia Southern University and associate dean of the College of Arts and Sciences at the University of Delaware, where she also served as director of the women’s studies program and graduate program coordinator. She was an American Council on Education (ACE) fellow at the College of New Jersey and she has held teaching positions at Santa Clara University and California State University, Long Beach. In addition to her administrative responsibilities, teaching, and research,Dr. Conway-Turner regularly travels to Haiti to perform humanitarian work as a member of H.O.P.E., a nonprofit, volunteer organization based in Rochester, New York. Through this organization, she and her colleagues assist the people of Borgne, Haiti, in achieving equitable, just, and sustainable living conditions. Dr. Conway-Turner received her Ph.D. and M.A. in psychology and her B.A. in microbiology, all from the University of Kansas. As a first-generation college student, she embraces the transformative power of education. She has experienced firsthand the potential of schools like Buffalo State, and she views the college as a special place that does incredible work to move its students forward. In short, Buffalo State transforms lives. Dr. Conway-Turner is married to Dr. Alvin L. Turner, a psychologist in private practice. They have three daughters, Shana, Anya, and Jameela.